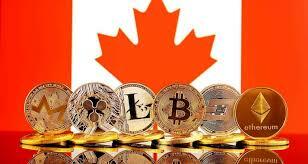 Canadian regulators have proposed a ban on certain trading activity in the crypto world to safeguard investors from potential risks. The Canadian Securities Administration specifically targeted short trading, betting on certain assets depreciating over time, on crypto platforms. In addition a ban on crypto supporting margin finance. Both of which expose investors to more risks even in traditional markets. After the QuadrigaCX scandal, Canadian authorities have taken a more active role in tightening regulations in the cryptocurrency sector and these bans may be the first of many to come in the future.